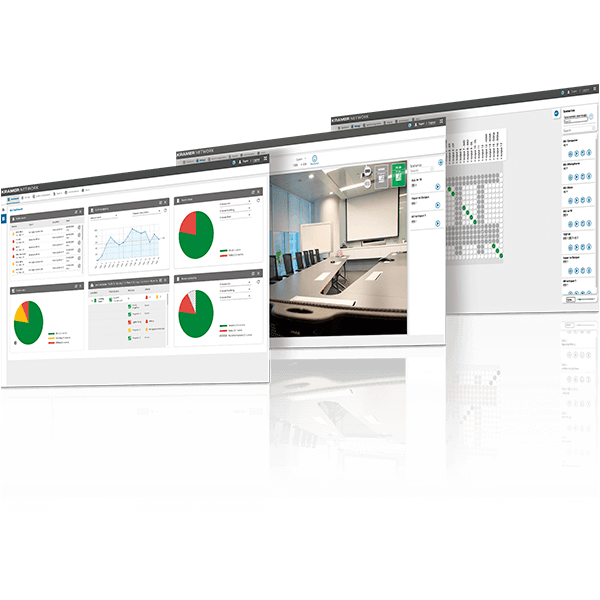 Kramer Network – The award-winning AV over IP enterprise management platform that empowers administrators with a suite of intuitive tools making configuring, managing and monitoring traditional Pro AV and new AV over IP devices effortless and efficient. Pro AV management spread across multiple rooms, countries and continents doesn’t need to be complicated. Kramer Network delivers the simplicity of a single solution paired with the power of a complete platform, all with the reliability and security you’ve come to expect from Kramer.